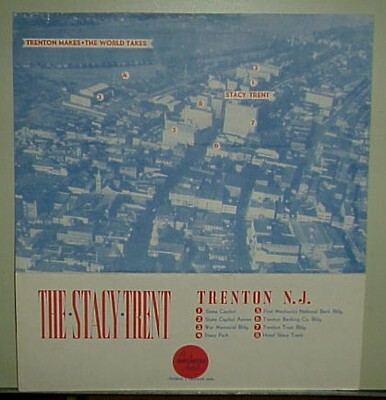 This page lists the menu items and prices for food served at the Stacy-Trent in 1942. 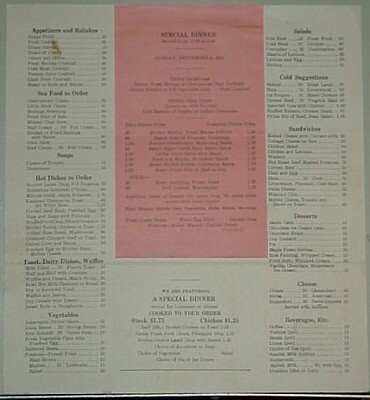 In addition to the regular items, the menu listed two versions of a "special dinner". The first version listed here was printed on the menu, while the second version was printed on a piece of paper glued to the menu (apparently a daily special).